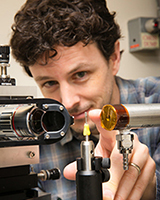 Darren Dale, Ph.D., CHESS Senior Staff Scientist, beamline F2, was promoted to the position of Associate Director of the Integrated Simulation and x-ray Interrogation Tools and Training for µmechanics (InSitµ) program at CHESS. Darren has been instrumental in the complete rebuild of Station F2, research and implementation of undulators on CHESS beamlines and design development of future beamlines. His research has been in the areas of in-situ studies of thin film growth, high-energy diffraction of composition-spread thin films, phase contrast imaging, and supporting scanning X-ray fluorescence microscopy. 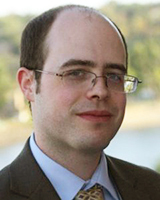 Jesse Hopkins, Ph.D. has accepted the position of Postdoctoral Associate with MacCHESS. As an experienced user of CHESS, Jesse will bring a wealth of knowledge to the BioSAXS program and our users’ here at MacCHESS. Jesse’s thesis work focused on developing novel x-ray methods for studying biological macromolecules. In particular, new methods for low temperature small angle x-ray scattering, cryoSAXS, which allows for orders of magnitude improvements in sample consumption. 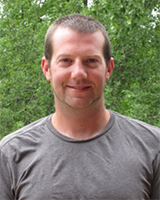 Jesse has also been involved in developing novel methods for collecting x-ray crystallographic data, including variable temperature crystallography, and the study of radiation damage in crystallography. Dragana Jusic was promoted to Research Support Specialist II with CESR. Dragana has taken on responsibility for the oversight of the CESR Operators. The CESR Operators keep the synchrotron in CHESS running conditions, shifting 24 hours a day, 7 days a week, 365 days a year. 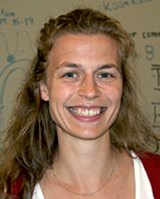 Dr. Margaret Koker has accepted a position of Research Associate with the CHESS scientific staff. 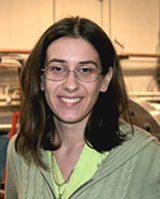 Dr. Koker recently completed her postdoctoral associate position at CHESS working on multiple projects, including the development of high-energy grain-mapping by simultaneous collection of near- and far-field diffraction patterns. 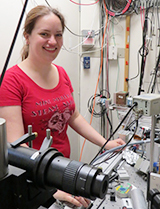 She plans to continue her work studying the mechanical behavior of grains, as well as pursuing other research interests such as imaging and diffraction of materials undergoing real-time physical or chemical changes. Kurt McDonald has accepted the position of Research Support Specialist I (CHESS Operator). Kurt has a background in chemistry and in addition to his duties as a CHESS Operator will be working as a CHESS Safety Officer as well. Katharine (Katie) Silberstein, Ph.D. has accepted the position of Postdoctoral Associate with CHESS. This is a unique pairing with 50% of Katie’s time being spent here at CHESS helping to design and commission x-ray Raman capabilities at Station C1 and the other 50% of her time will be in the Lancaster Lab synthesizing inorganic and organometallic compounds, calculating their predicted spectra, and collecting x-ray Raman data.